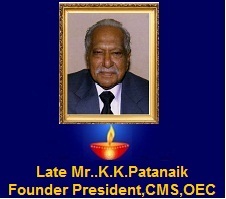 The Orissa Engineering College (OEC) and the Centre for Management College (CMS) are the brain-child of Sri Kamini Kanta Patnaik, the great visionary of Orissa. This year OEC is celebrating its silver jubilee. I am fortunate to be a part of the founder member team of these two institutions sponsored by the Nabajyoti Charitable Trust (NCT). OEC was established in 1986 when none could imagine of a private engineering college in the state. A technical graduate should have managerial capabilities to balance hard and soft skills and therefore, the Centre for Management Studies was set up in early 2001. CMS is a management institute with unique objectives and features. The location is suitable for peaceful learning, being away from the city pollution and crowd. All modern gadgets and teaching inputs like well-equipped library, well furnished classrooms, computer labs provide the required academic support. A team of highly qualified, multidisciplinary and experienced faculty are always ready to support the students in their all-round development. The faculties provide mentoring assistance 24X7 to make the students learn in a stress-free environment. My advice to the young learners would be to maximize their returns during their course sessions and make optimum use of facilities at CMS. I believe that a teacher should assist the students in learning by developing their latent ability to differentiate between what they know and what they don’t, where to go to find out what they need to know, and to know how to use the knowledge once they get them. This is what is the ideal “Facilitating Role’ of a teacher. Who can disagree that learning is a continuous process and one can and need to learn more than what is taught. Fredrick W. Robertson had rightly remarked “Instruction ends in the school-room but education ends only with life”. 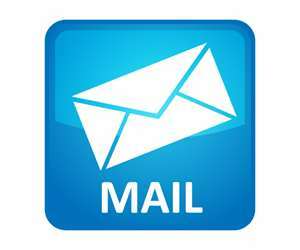 I, as part of the College Management, am always open to ideas, view and opinion from one and all to make our combined effort, in this noble profession, rich and more rewarding and pleasant.